Lemons, a fruit that belongs to the citrus family, also makes the American Diabetes Association list of superfoods that you should include in your diet. Citrus fruits are perhaps best known as a rich source vitamin C, but lemons provide an even more important nutrient for people with diabetes: soluble fiber. However, keep in mind that lemons alone can't treat diabetes -- they simply make up part of an overall healthy lifestyle that, together with medical treatment, helps control it. A healthy diabetes diet should help stabilize your blood sugar levels, and help improve your blood pressure and cholesterol numbers, according to the American Diabetes Association. The soluble fiber in lemons may help you to achieve these diet goals. Soluble fiber may help improve your blood glucose levels by helping to slow down your body’s absorption of sugar into your bloodstream. In addition, soluble fiber prevents inflammation of your blood vessels, lowers your blood pressure, and reduces your “bad” cholesterol, also called low-density lipoprotein, or LDL, cholesterol. 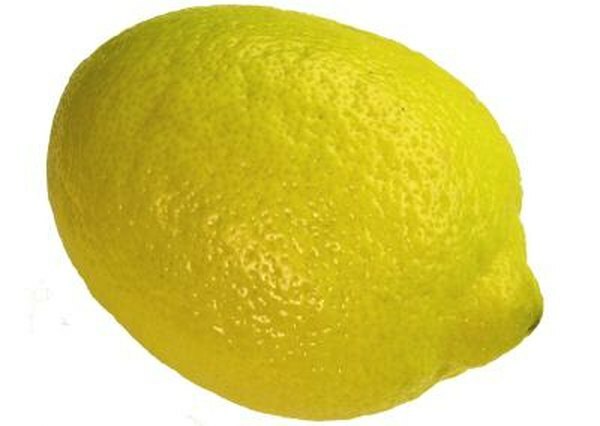 Lemons fit nicely in a diabetes diet because of their low glycemic index. All fruits, including lemons, contain naturally occurring sugars called fructose, as well as other carbohydrates. Any food item that contains carbohydrates will cause your blood glucose levels to rise. However, lemons contain only a small amount of carbohydrates, and because of this, they will unlikely to have a significant effect on your blood glucose levels. Keep in mind that fresh lemons, as opposed to bottled lemon juice, provide the healthiest choice. This is because fruit juices tend to have a higher glycemic index than fresh fruits. If you would like to incorporate lemon in your diet, try preparing lemon and thyme basmati rice. Squeeze fresh lemon juice and pulp onto whole grain basmati rice. Add fresh chopped thyme and sprinkle with white pepper. Another recipe that involves lemon is for a lemon dill sauce for fish, such as salmon. To create the sauce, use fresh lemon juice and pulp, olive oil, vinegar and fresh ground black pepper. You can also try adding lemon juice and pulp to grilled skinless chicken breast, green leafy salads and fresh homemade salsas. There are other citrus fruits with high levels of soluble fiber, such as grapefruit, oranges and limes. You can also reap the benefits of soluble fiber by eating foods other than citrus fruits. For example, a variety of legumes, grains and non-starchy vegetables contain soluble fiber and make healthy choices on a diabetes diet. Examples of diabetes-friendly, high-soluble fiber foods include kidney beans, green peas, barley, whole grain oats and carrots.